Briggs & Stratton Ride-on Lawn Mower Cover. Protective storage cover against most weather conditions. With pull draw cord. 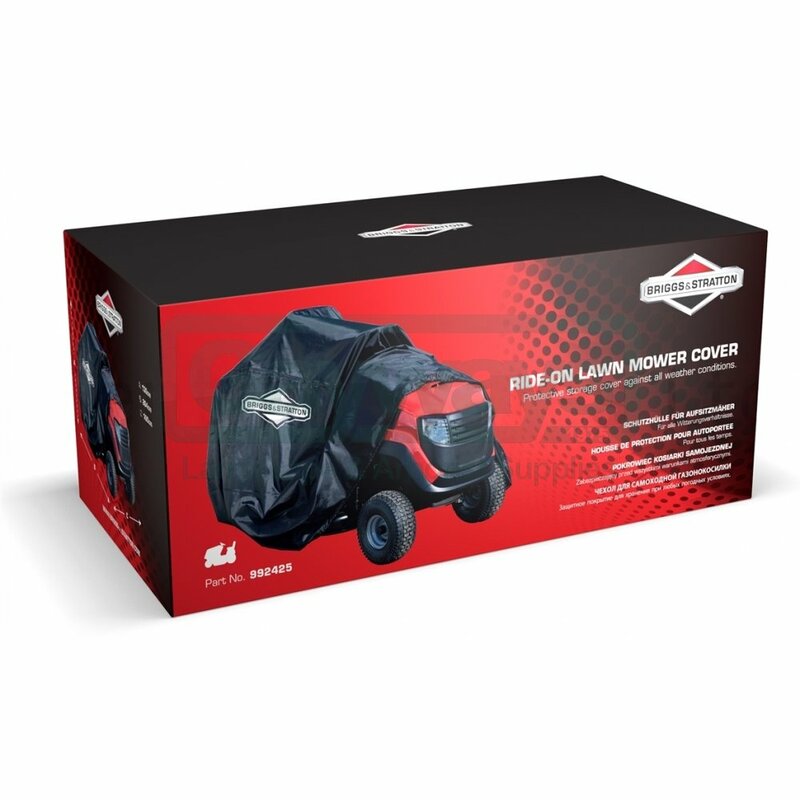 Ride-on Garden Tractor Mower Cover. Size Length 264 cm Width 100 cm Height 130 cm. Black made by Briggs & Stratton. Dacron 210 Fabric. With pull draw cord.